If you’re Paul Weller, you take it all in your stride – you dismiss the nickname as a joke, you discard the ‘Elder Statesman’ status as a by-product of not yet having died, and you agree that, prolificacy aside, there isn’t much more you can do than write songs, record them, put them out and hope for the best. 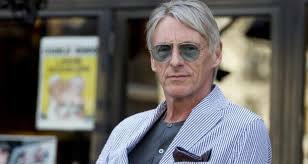 Weller is looking leather-tanned and slightly weather-beaten, but he’s still as trim’n’slim as when he was a 19-year-old in The Jam, and – if such things continue to matter to some people – he remains as nifty a dresser as he has always been. His latest album, Saturns Pattern, might not win many new converts to the Weller brotherhood (and it is very much a brotherhood), but it keeps his common pop/rock touches ticking over. If anything, it continues his unending love for the 60s, despite he being too young to have direct experience of that time period. We know what happened next: The Jam was co-founded by Weller the same year, only for him to split up the trio at the height of their commercial success in 1982. A year later came The Style Council, but by the end of the ‘80s Weller once again derailed a successful band. A tentative solo career began in 1990, and from 1992’s self-titled debut to Saturns Pattern, he has released an average of one album every two years. Such output is underpinned by what Weller views as two recurring motifs: melody and a preoccupation with the passing of time. Unusually for someone with such a non-celebrity persona as Weller, his private life has come under scrutiny in the past ten years. The father of seven children from four relationships, the tabloids and gossip mags started to take notice over five years ago when he left Samantha Stock, his then partner of 13 years, for backing singer Hannah Andrews who was almost 30 years younger than him. They subsequently married (in 2010), and are now the parents of three-year-old twins, John Paul and Bowie. It seems impolite to ask, but Weller is in a good blokey mood, so here we go: did getting a vasectomy never enter his head?